Welcome to the Holiday Inn Seguin.Seguin&regs Only Full Service Hotel conveniently located on IH 10 and Hwy 123. Just minutes from downtown San Antonio, the water activities of New Braunfels or the Outlet Shopping Centers of San Marcos.This Seguin hotel will let you get away from it all with a full service restaurant serving breakfast, dinner and where Kid&regs Eat Free (some restrictions apply). You can enjoy a cocktail in our casual sports lounge where you can meet business associates, or shoot pool and watch a game.The Holiday Inn Seguin has over 1500 sq. ft. of meeting space which can host meetings up to 150. Making any wedding reception, family reunion or conference a great success.The Holiday Inn Seguin is conveniently located near Texas Lutheran University, Continental/Motorola, CMC Steel-Texas, Tyson, ITW Mini Grip, and Alamo Group. 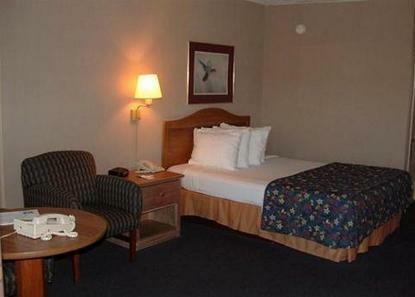 Sporting events also find the Holiday Inn Seguin convenient to Max Starcke Park. Tourist attractions include Schlitterbahn Water Park, The Rapids of the Guadalupe, Outlet Malls in San Marcos and the Riverwalk in San Antonio.The Holiday Inn Seguin looks forward to having you as our guest This hotel is committed to providing accessible facilities under the American Disabilities Act. If your accessibility needs are not met, please contact the Hotel Manager on Duty. Should you require additional information regarding accessible facilities for guests with disabilities, please call 1-800-Holiday (U.S. and Canada) or contact the hotel directly. For the hearing impaired, TDD service is available at 1-800-238-5544 within the U.S. and Canada.